Roger Stone admits Twitter DMs with Guccifer 2.0, alleged Russian hacker front account. Roger Stone in New York City on Dec. 6. Stone has said publicly that he has connections to WikiLeaks proprietor Julian Assange through an intermediary that he described as a libertarian member of the media. Assange has denied having any connection to Guccifer 2.0 and said he was not supplied with the DNC or Podesta emails by a state actor. 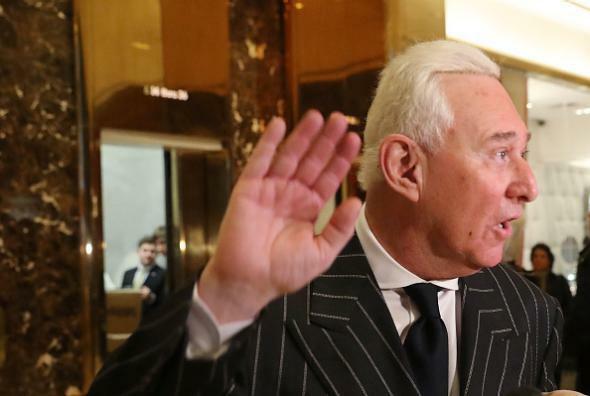 Stone, who has known Trump for decades, was formally involved in the Trump 2016 campaign in its early stages and has said that he continued to advise Trump informally after leaving the campaign in August 2015. The New York Times reported in February that the FBI has investigated Stone’s potential connections to Russian operatives; the status of that investigation is unknown.